This week, the Hancock Hotel announced that they were adding bikes. Guests can take a spin around Findlay on two wheels now, which can be a great way to see the area. It got us to thinking of places we’d love to see while we were on two wheels, and we came up with a few ideas. We’re gonna start it off old school. Is there anything more nostalgic than biking to get ice cream? How biking to a real life ice cream parlor? Work up a bit of a sweat as you earn a particularly sweet treat at Dietsch Brothers. Order a scoop of chocolate-covered pretzel caramel ice cream (or whatever suits your fancy since it’s all good). And then stock up on chocolates to take home with you. There is a basket on the front of the bike, so you can buy just about all that your heart desires. And if that basket isn’t full, you definitely haven’t bought enough.  Findlay is home to some beautifully restored Victorian homes. Just take a look at our Historic Walking Tour. It will give you an idea of some great homes to check out. And there is no reason why you can’t hop onto to two wheels to take a look at these homes. You can go as fast or as slow as you’d like and hop onto some of the side streets to see some of the homes we haven’t mentioned. With immaculate landscaping and gorgeous architecture, this will likely be a lovely bike tour you won’t soon forget. Maybe you want to take a spin on a bike path? Luckily, there is one right near the hotel. The Blanchard River Greenway Bike Path will take you through many scenic parts of Findlay, including the Riverside Park Waterfront. The path will let you get a workout in off the roads while still being able to discover many things to love about Findlay. No matter where a Hancock Hotel bike, we’re sure you’ll have fun discovering our area. And we are sure this is going to be a new favorite of many visitors staying in Findlay.